Reverse gas supplies from Europe to Ukraine halved in May after Hungary and Poland suspended deliveries, said Gazprom CEO Aleksey Miller. Ukraine's demand for Russian gas has nearly doubled since May 1, Miller said as quoted by TASS. Russian gas supply to Ukraine was less than 9.2 million cubic meters on April 30, rising to 19.7 million cubic meters on May 1-2. On Tuesday Gazprom confirmed receiving $40 million from Ukraine’s Naftogaz as advance payment for May gas supplies. On May 1 gas supplies from Poland to Ukraine via the Germanovichi station stopped. Daily April supplies to Ukraine via the same station amounted to about 12 million cubic meters of gas, according to the Polish company GAZ-SYSTEM SA, cited by RBC. Earlier, Hungary's pipeline operator FGSZ announced that it had halted gas supplies to Ukraine. 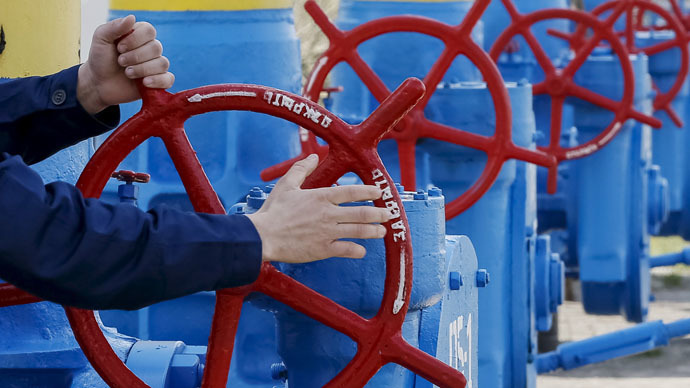 Ukraine has reduced its daily volume of gas imports from Slovakia to 21.5 million cubic meters from April’s average of 38 million cubic meters, a drop of 43 percent, RBC reported, citing Slovak gas transmission company Eustream. On April 15 the Ukrainian government agreed on gas consumption of 40 billion cubic meters in 2015. Imports would make up 25 billion cubic meters of that, 33.5 percent more than in 2014, the Energy Ministry said. At the same time the Cabinet ordered Naftogaz to ensure that no one source provided more than 50 percent of total supply.